I missed a day for #blogeverydayjune, but hopefully I’ll be able to get back on track now. 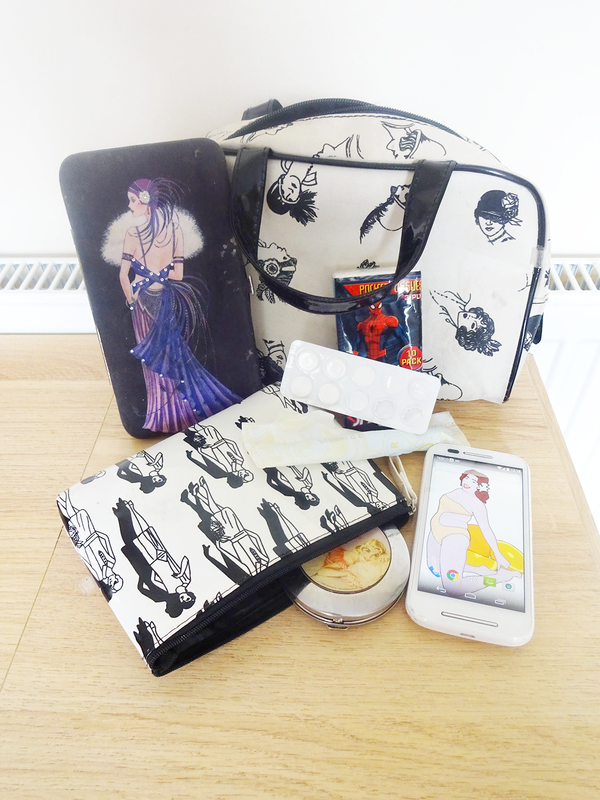 So today I decided to write about my handbag and what I carry around in it. 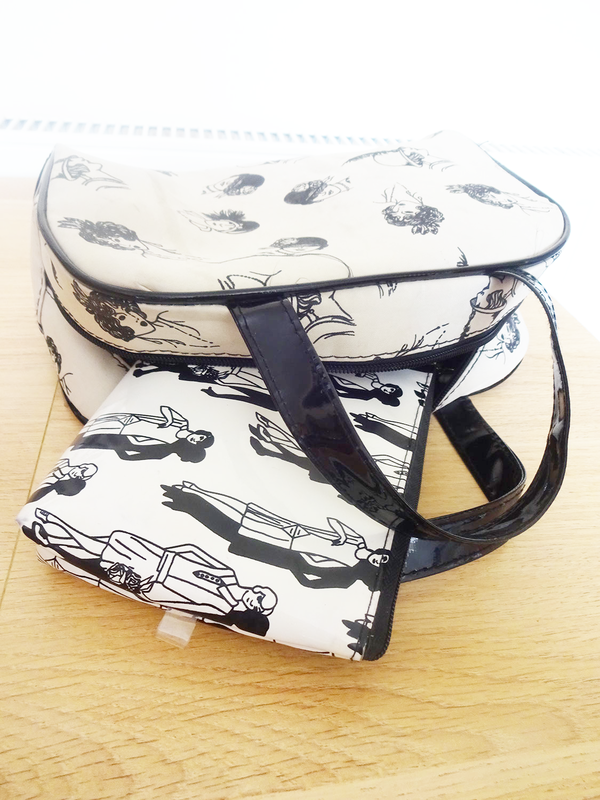 The handbag is this gorgeous one which I bought from, of all places, Aldi a while ago. The makeup case came with it. 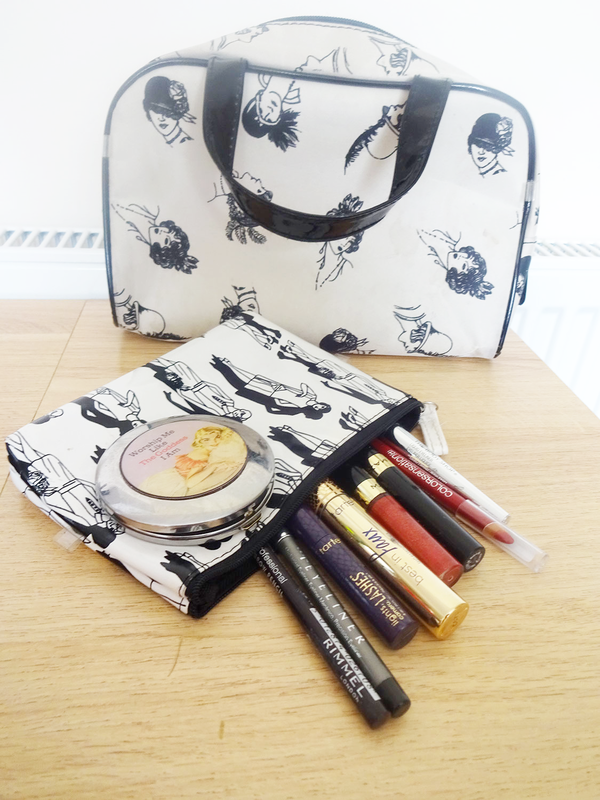 I think technically it’s a makeup/toiletries bag, but makes a great handbag. I fell in love with the twenties ladies all over it, and I love the simple line drawing style too. 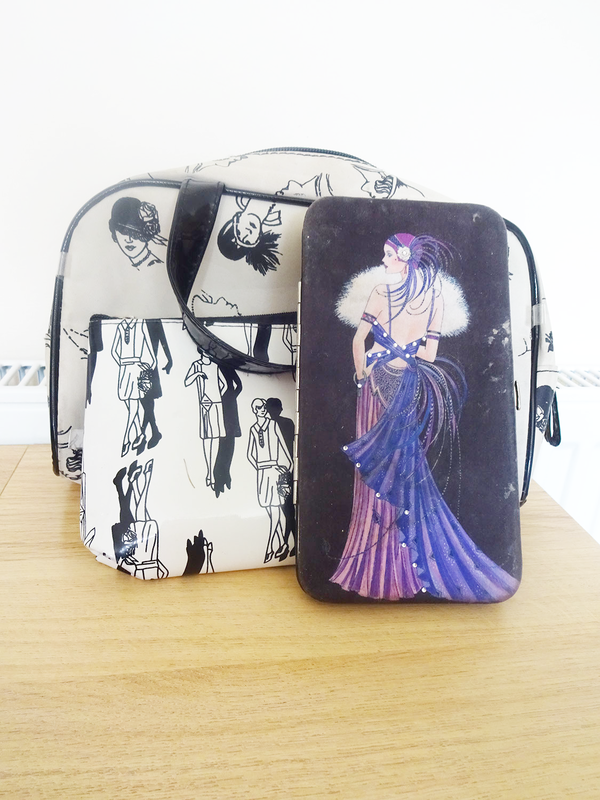 As you can see, this love of 1920’s imagery extends to the wallet too. I’ve had this a good few years, so it’s looking a bit worse for wear. No idea where it’s from as it was a gift. I don’t actually wear makeup every day, usually I go without, or with just red lipstick and mascara. But I keep these in my bag just in case I get the opportunity to go out somewhere. 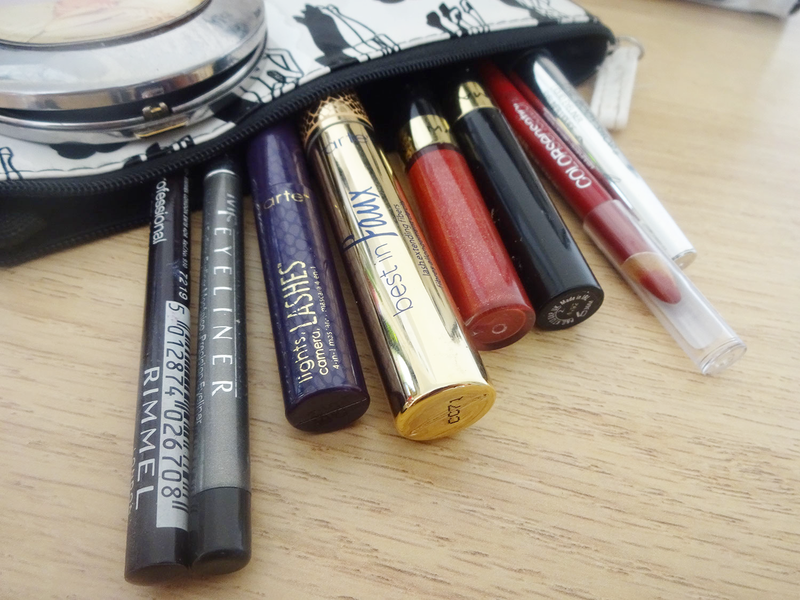 Plus it saves searching through my makeup box for my favourites. So my favourites at the moment are..
Tarte Best in Faux Mascara – this was a prize in a competition by the gorgeous The Curvy Kitty, and I love it. It’s actually really effective without much effort. Max Factor Lipfinity – I adore this, I tried it for my wedding back in 2010 and haven’t used another red lipstick since! It really does last, and does so without stickiness or drying my lips out. I wear it in So Glamorous. Maybelline ColorSensational Lipliner – In red, of course. Of course there are less fun items in there too. Tampons, tissues, painkillers and my phone. Yes, my phone screen is my artwork, I am that vain!